One of the most fun trends we're seeing in home design these days is metallic accents. Metallic shades add texture and shine to a room. A variety of colors are popping up with a metallic sheen and when done well, it's both luxurious and energetic. You might be wondering how you can take advantage of this design trend in your flooring. Kermans has some great ideas! 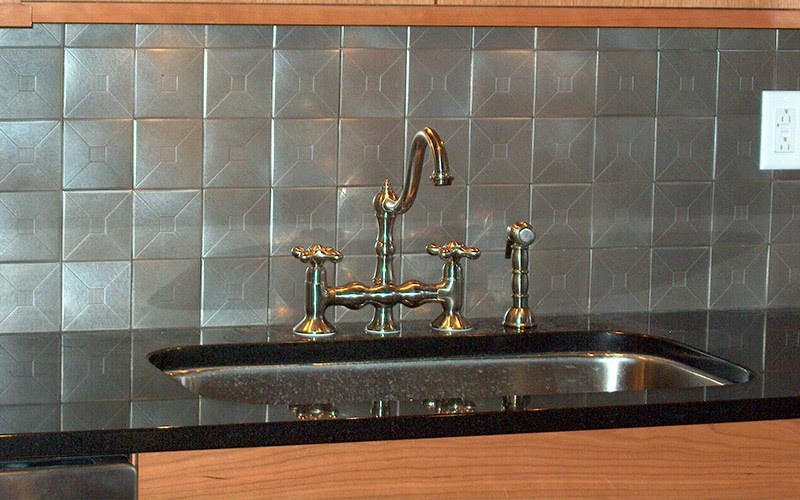 Metallic tile can be used on walls and floors. Whether you go with an entire floor of brushed metal or are looking for metallic accents, tile is the perfect medium to bring some shine into your home design. Read on for some creative ways to bring metallic into your floors and walls. 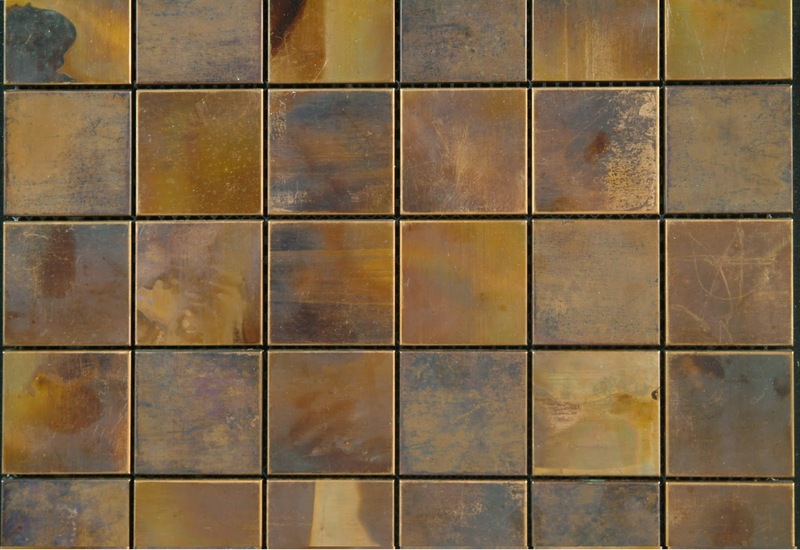 For a little less shine look for metal tiles with patterns and antiqued finishes from rich bronze to hammered copper to wrought iron. Stainless steel tiles can be buffed to a high shine or bushed in patterns such as checks, diamonds, circles etc. 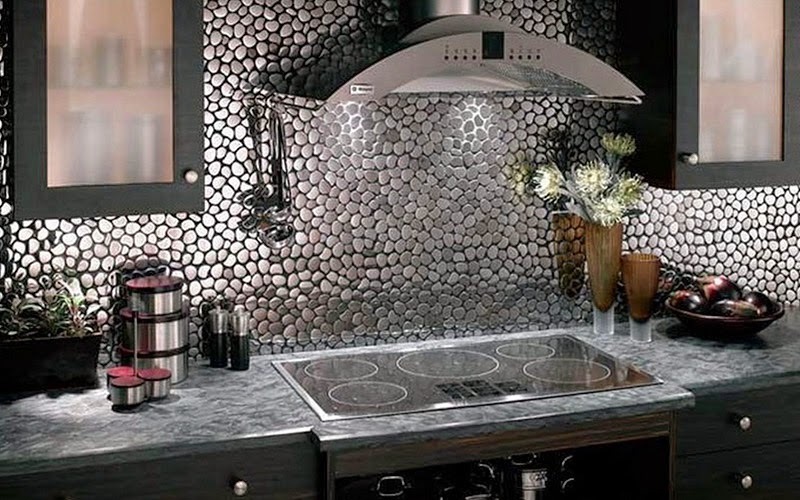 Whether you go for a full set of stainless steel tiles or mix them in with ceramic or other tile materials - you're adding a gleam of silvery interest and style. 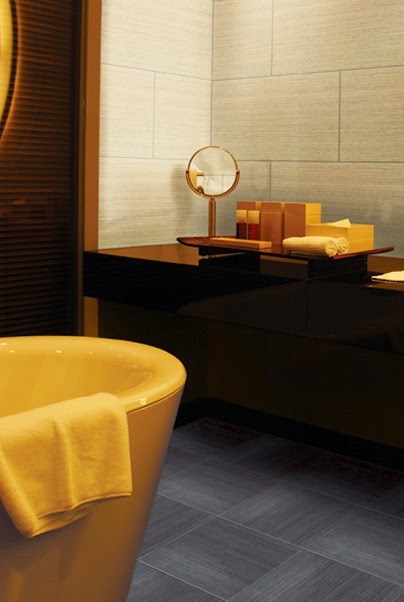 Metallic coated glass tiles are a more subtle way to bring some shine and add in more color as well. Looking for more design trends? Follow our Facebook page where we highlight trend alerts and tips! Whether you want to incorporate this fun metallic trend or need more general design guidance. The staff at Kermans is ready to help. Schedule a free design consultation and we'll be ready and waiting to point you in the direction of the perfect carpet, area rug, hardwood or tile for your home and budget.